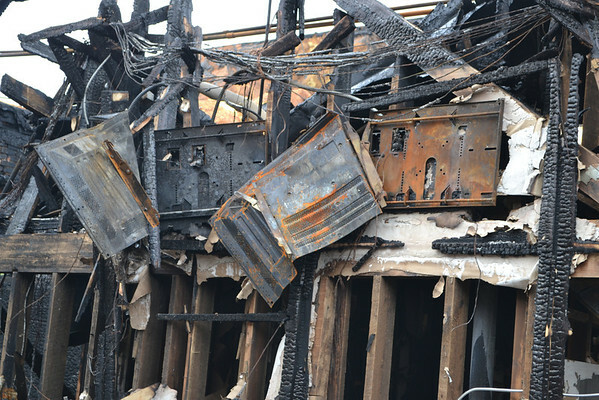 After a devastating fire Tuesday, the owner of the old Tuttle Bank building showed the Express-Star around inside and upstairs, where the remains of what used to be the Grady Pub and Grille now stand. Flat screen televisions above the bar area and near the kitchen. Investigators determined that the fire was caused by an electrical shortage and originated from the southeast corner of the restaurant, opposite of the kitchen.